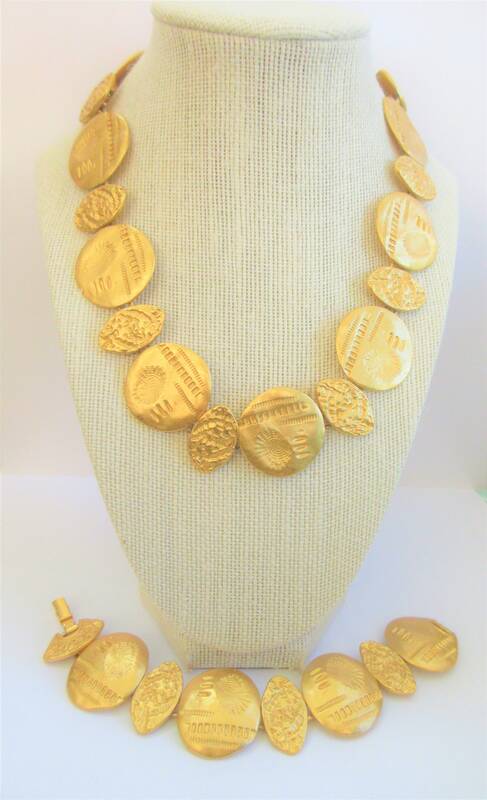 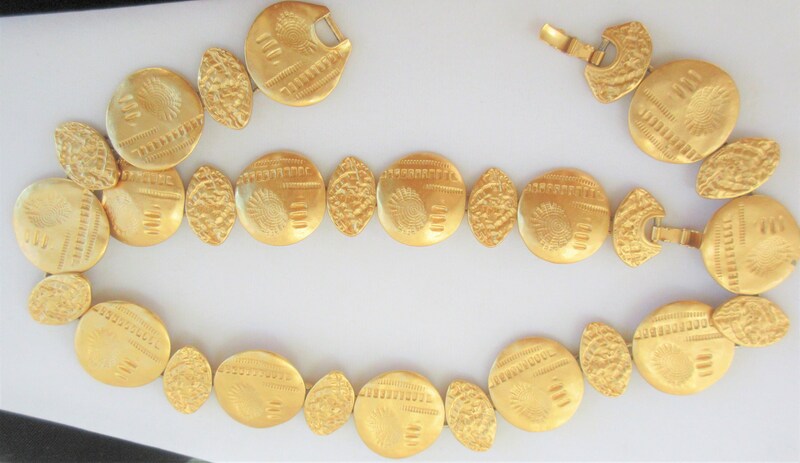 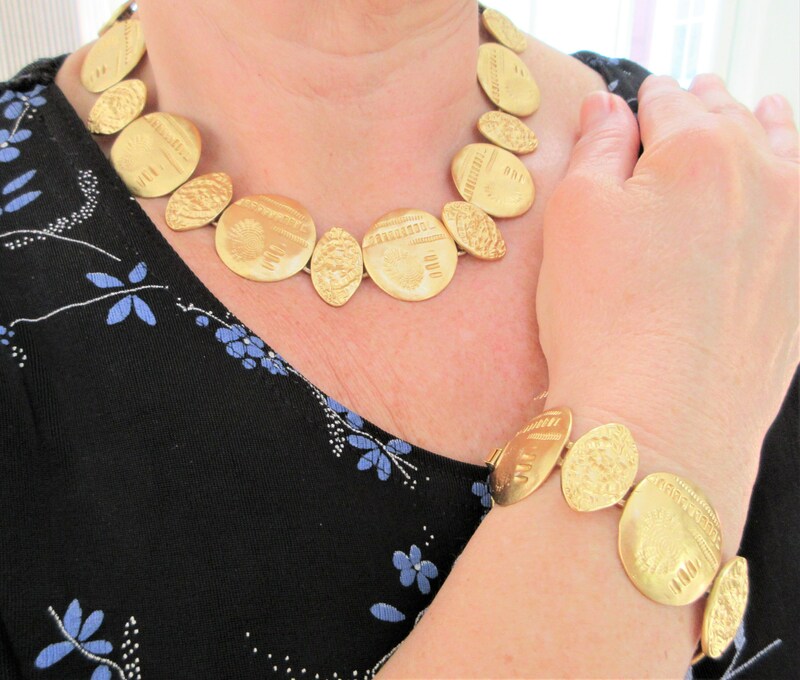 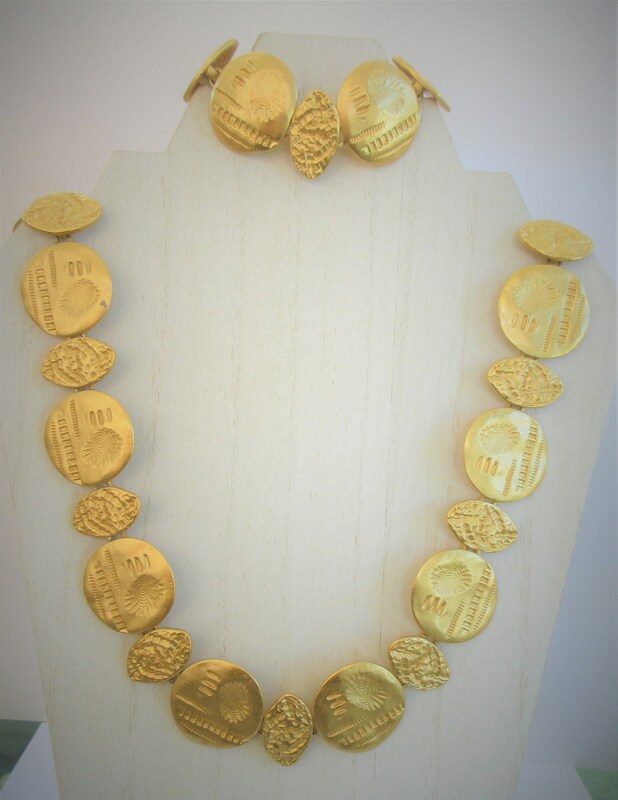 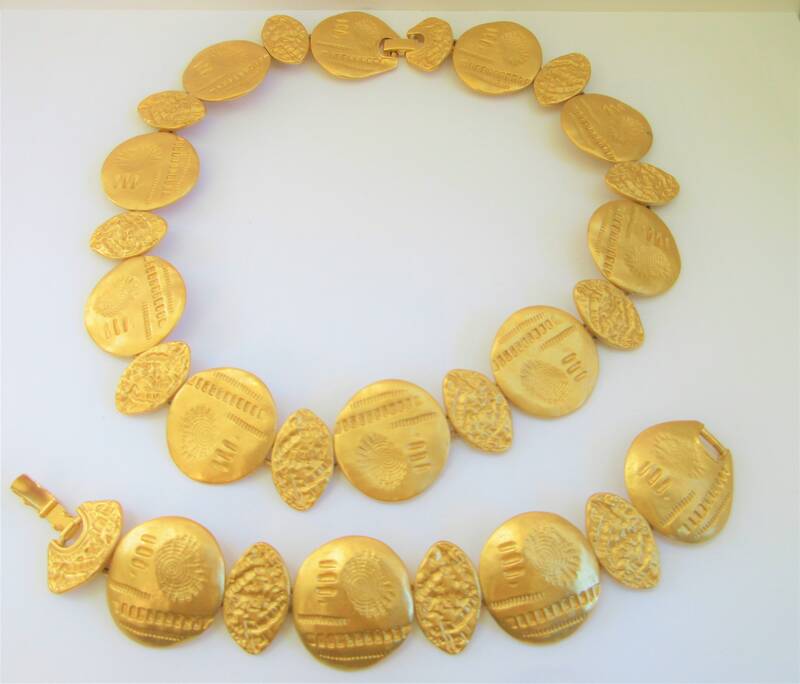 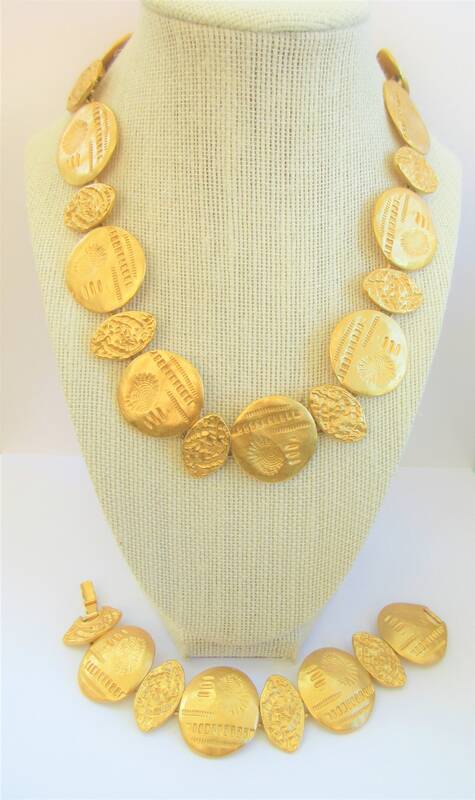 Gold Plated disc Necklace and Bracelet set, Vintage 18 inch necklace, 7.5 inch bracelet. 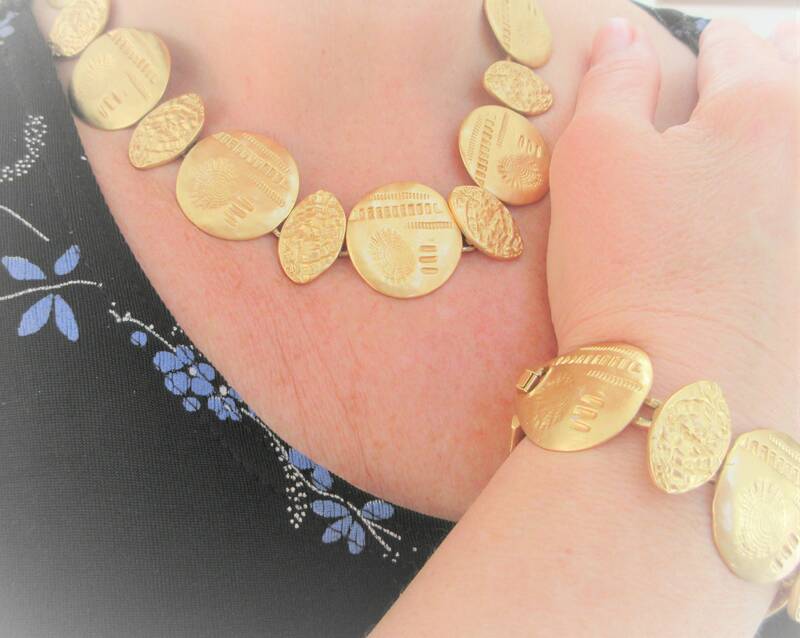 Beautifully hammered and linked together, and comfortable to wear. 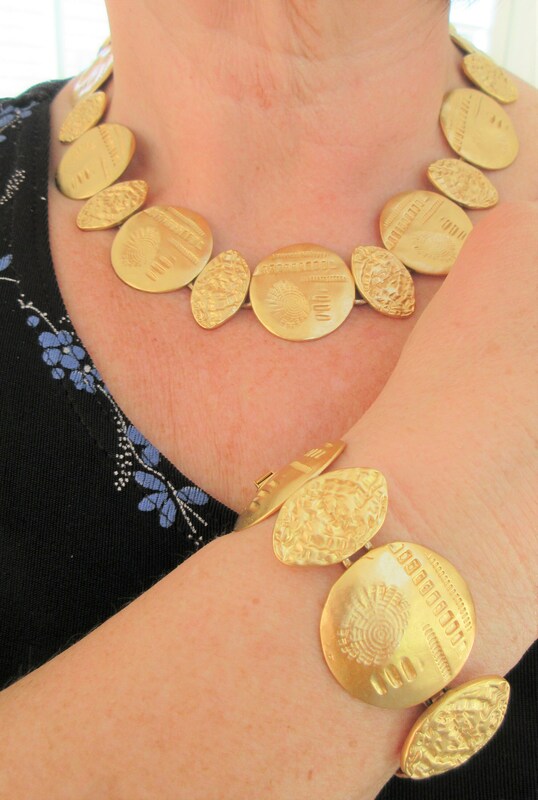 This set is decades old, yet looks brand new.